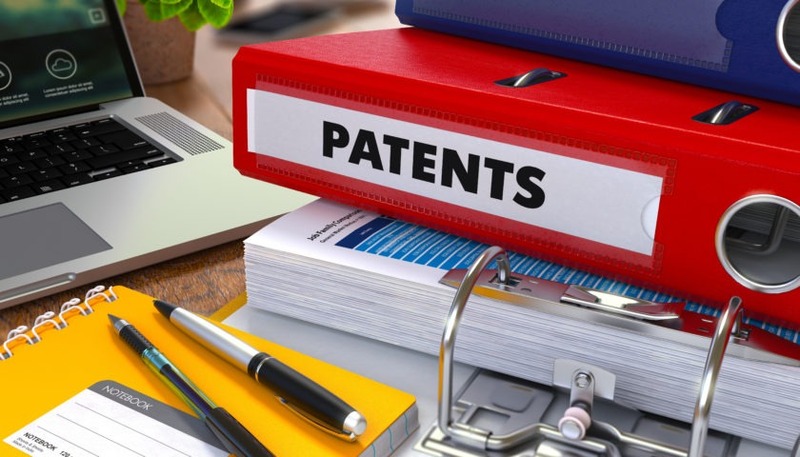 With a dramatic increase in patent infringement litigation filings year on year, the defendants hit by the infringement lawsuit are in constant need to identify prior arts that can help them invalidate the asserted patents and save themselves millions in damages. The importance of identifying the right prior art is critical when a patent is involved in litigation. Finding even a single effective prior art for invalidating the asserted patent can be critical in dismissing the infringement lawsuit altogether. The first and the most critical factor to effective searching is the thorough understanding of the technology and then starting with the search and browse through patents efficiently. However, before all of this, it is very important to devise a plan and a strategy with which one will initiate and execute the search on various databases. An effective plan is something which takes care of all the aspects needed to execute an efficient search be it the identification of keywords and their synonyms, selection of databases – every technology will have different databases that will yield more effective results than other, country-specific databases and technology portals, and lastly whether the search needs to be focused on patents or non-patent databases. Another important part of an effective plan is going through the file history of the patent in question as it helps in identifying important claim elements that the examiner was weary of before the granting of the patent. It is helpful in understanding the novelty of the invention, the relevancy of the cited references and rejections – both non-final rejection and final rejections (if any) of the patent in question. Examiner’s rejections and comments bring out clarity in understanding the similarities of cited references with the subject patent. Similarly, the arguments put forward by the applicant (inventor of the subject patent) in response to the rejection helps in differentiating the cited references from the subject patent. There are several techniques to start with the search and every researcher has their own set of rules while conducting a prior art search. However, the basic thumb rule which is very critical is to do a comprehensive and exhaustive search. If I am consulting my client and helping him identify prior arts, I would start with the understanding the patent in question thoroughly, and identify the novelty of the patent in question. Then I would move on to identifying keywords based on the key elements of the patent and do a dirty search on the Google patents based on the identified keywords to assess the broadness of the domain, active players, and similar references to identify more relevant keywords. The keyword searching is the primary method to meet the criteria of exhaustiveness of the prior art searching. To avoid redundancy and noise in the search, I would use different combinations and advanced operators in different databases which will give a better patent set to analyze and choose a reference disclosing a similar concept. I usually prepare a list of similar references and add comments so that while conducting relevancy analysis, it becomes easy to recall the key highlights of the invention. It is just another way to ensure that the second researcher in my team does not go through a reference multiple times and waste unnecessary time. In addition the keyword-based searching, a class-based, active players based and inventor based search is also crucial to find more relevant and better results. The best way to identify important classes is from the patent in questions and also the similar references identified initially. Going through the class definitions further helps to focus on the most important classes and leave out redundant ones. In general, US classification and IPC classification are preferred while conducting a class-based search. However, for certain technologies and patent invention in question, it is advisable to consider Japanese f-terms and CPC classes to capture relevant pool from Japan and Europe respectively. Class-based searching can be effectively used by mixing it with keywords. For example, if we are working on a patent which discloses ‘A mobile phone with a flip sensor for managing power during call operation’. We can identify the classes related to Mobile phones, sensors/ flip sensors, power management. Now if we use the classes related to a mobile phone in our search queries then the keywords related to mobile phone need not be included. The keywords related to a flip sensor is advisable to be added along with the classes to get more relevant reference pool to analyze. The idea is to read and analyze the maximum number of quality references by intelligently making the search queries by mixing classes and keywords. Another technique to capture a good pool of patents for analysis is by running Assignee Names, Inventor names etc. This ensures covering length and breadth of the scope of the patented technology for our search. After completing the detailed search for the patents, a list is prepared for selecting the top references based on the added comments. Moving ahead, it is important to cover the non-patent literature search as well which holds equal importance as the patent searching. For doing the non-patent search, it is advisable to run a keyword based search on basic and subscription based non-patent databases. Few of the most popular and effective databases are IEEE, CiteseerX, ACM etc. Another way to do the non-patent literature research is to identify the inventors from the finalized patent references and look for their publications in different journals, publication databases, and any news articles. Researchers can also oversee the applicability of the patent invention in a particular market and look accordingly into the archived websites for selecting any product brochure, datasheet or specifications prior to the cut-off date of the patent in question. After completing the patent and non-patent comprehensive search, the next step is to go through the list and prioritize the results and tag them as most relevant and less relevant references. The most relevant references will be the ones which disclose all the features of the patent specifically the key novelty aspect of the patent in question. Lesser relevant references will be the supporting references which miss out on certain features of the patent in question. The whole point of providing lesser relevant references in addition to the most relevant ones is to give additional arguments for certain claim elements which have partial disclosure in the most relevant references. The objective of selecting the most relevant and lesser relevant references is to make 102 (novelty) and 103 (obvious) arguments by using the identified references individually or in combination with each other. It is also important that in this section that the researcher checks the cited and citing references of each of the identified references to see if anything is missed out prior steps. Commonly termed as ‘Spider Search’, in this we analyze the direct citations both forward and backward of the identified references by using the date cut-off. The final step towards an effective analysis is the output and how efficiently and crisply it is represented for the clients to review and use the analysis. It is absolutely critical to showcase the identified prior arts in a way which is visually appealing as well as easy to comprehend for the client. I say this is critical because the attorneys are likely to be of a different technical background than the technology in question. Therefore, the best way to be effective is to prepare an executive summary of the identified results, why the results were chosen and what aspects of the reference are strong and what aspects are weak. Having this at the start of a report ensures that the attorney sees it first and then get a preview of what’s in store for him in the report. Being an ally to your clients also puts an added responsibility on your shoulders which is to give your client what he wants in a best possible manner which involves minimal legwork at his/her end. Familiarity with the courtroom acceptable format and skill set of writing effective arguments to rest your case is a huge bonus. Representing the evidences from the prior arts identified in a detailed claim chart format which includes mapping the key elements of the claims with the relevant citations from the prior art references along with researcher’s articulation supporting the disclosure can be hugely impactful. This ensures that both the attorney and the judge gets a clarity as to why the identified prior art anticipates or renders obvious, the patent in question. For example, if the patent in question discloses a user interface and in the claim chart mapping, the researcher has comprehended the same meaning by citing a browser, articulating how the browser in the prior art is equivalent to the user interface of the subject patent becomes critical. Such articulations throughout the claim chart bring out clarity in understanding of the reference and subsequently enhances the quality of the search report. As soon as I discovered this site I went on reddit to share some of the love with them. Great work. I just ought to tell you that you have written an exceptional and distinctive post which I really enjoyed reading. I am fascinated by how nicely you laid out your material and presented your views. Thank you. Fine post. I learn something more challenging on distinct blogs everyday. This is an amazing piece of work. I’d want to use some of your content on my site if you don’t mind. I am frequent to blogging and I truly appreciate your content. This article has really peaked my interest. I am going to bookmark your site and keep checking for new tips. Thanks. A very essential piece of information for all patent researchers. I learnt atleast 2 new strategies after reading this article. Keep up the good work. These topics are so confusing but your article helped me get the job done. Thanks. It’s an impeccably researched and gripping article. 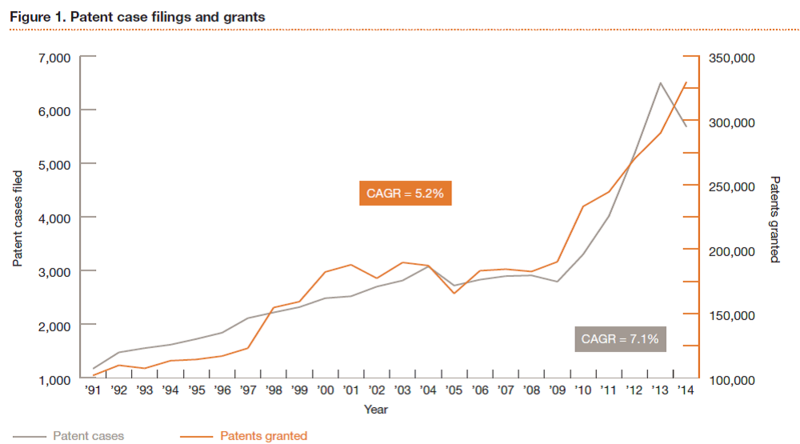 The graph clearly shows that with an increase in patent filing, the number of patent litigations has also risen.